Turn:Table - eat, dance & repeat! 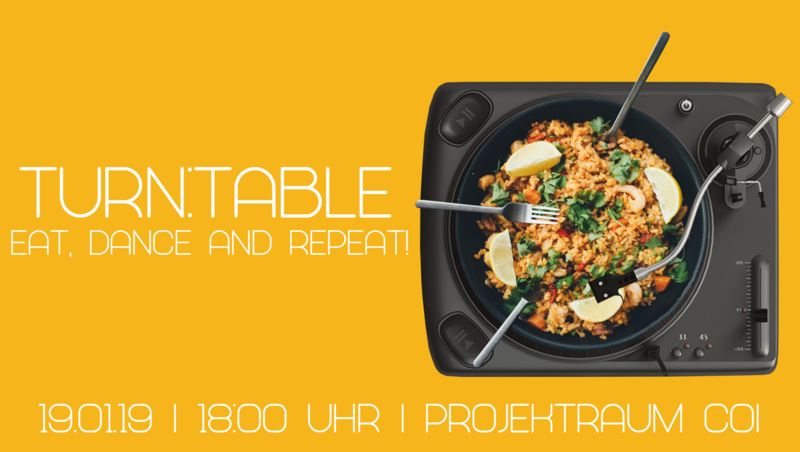 Am Samstag findet im COI unser erstes TURN:TABLE statt! Da wir etwas spät dran sind: Spread the word! We would like to invite you to our first TURN:TABLE this Saturday evening! EAT, DANCE & REPEAT! - Come around for nice music & tasty food. Don´t be too late if you wanna have a delicious meal.